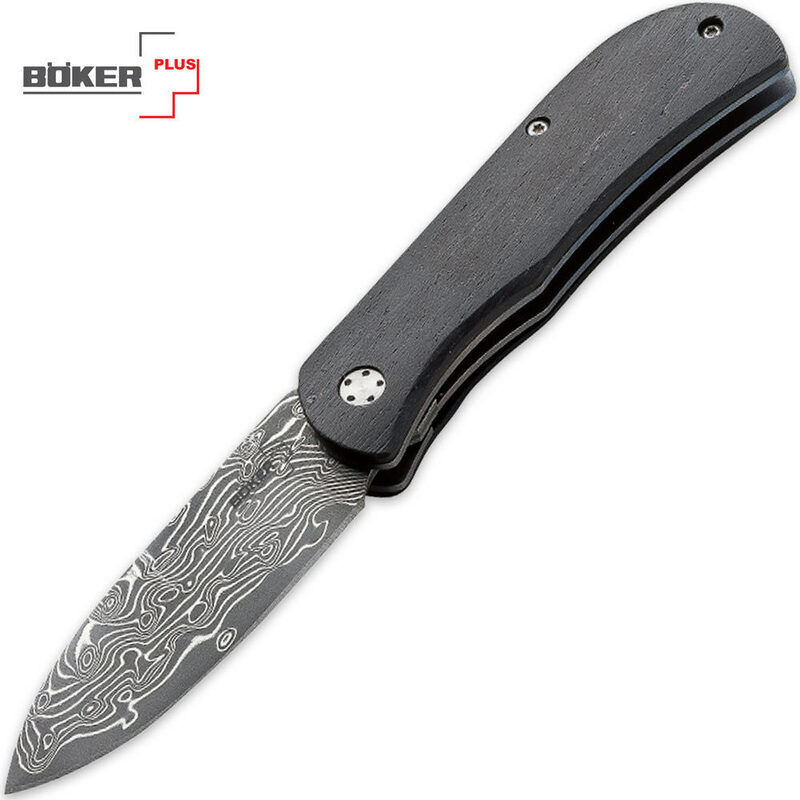 Boker Plus Exskelibur II Damascus Pocket Knife | BUDK.com - Knives & Swords At The Lowest Prices! The Boker Plus Exskelibur II takes the gentleman's knife to a whole new level! This exclusive Exskelibur version offers a Damascus steel blade with genuine ebony wood handle scales. The liners are blue anodized Titanium and locks securely in place with the liner lock mechanism feature.